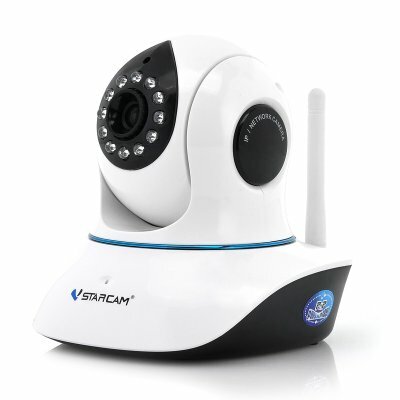 Successfully Added 720p IP Camera "VStar-Cam" - Plug + Play, IR-Cut, 10 Meter Night Vision, Two Way Audio to your Shopping Cart. 720p IP Camera is a Plug and Play device, which is ideal for keeping an eye over your property especially as it features IR-Cut, 10 Meter Night Vision as well as Two Way Audio. 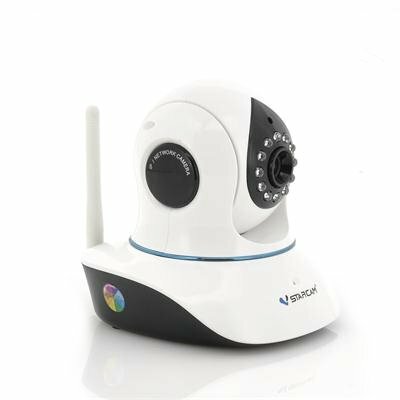 The “VStar-Cam” IP camera is an easy wholesale solution for anyone wanting a portable sized IP camera to keep a watchful eye over their office, house or wherever they decide to install it. As this security IP camera is a plug and play device it does not take long to get started and ready as it comes with all the appropriate cables. Once you have completely installation, you can log in and view the 720p HD vide stream via a computer or even a mobile device as the “VStar-Cam” supports a wide range of operating systems including several versions of Windows, Android and iOS. Having this ability means no matter where you are in the world, regardless of the time, you can always observe what is going on by accessing the “VStar-Cam” IP camera’s feed. You can save footage on to a micro SD card as the “VSTAR-Cam” security camera has a built-in micro SD port that can support up to 32GB, meaning you can transfer your saved footage easily. This IP camera also has pan tilt functionality so you can pan up to 355 degrees and also tilt up to 120 degrees allowing you to seem more activity from afar. Even at night you can enjoy the live feed clearly as the “VStar-Cam” camera has 10 LEDs combined with the IR-cut function that can deliver a 10 meter night vision range. Plus the “VStar-Cam” surveillance IP camera has two way audio that will give you an audio stream and even the possibility to talk back. The "VStar-Cam" 720p IP camera is now in stock and can be dispatched within one working day of ordering. Brought to you by the leaders in wholesale electronics and IP Cameras, Chinavasion.